Wheel chairs are made for handicapped or disabled people. Since such people have a problem walking, or can’t walk at all, wheel chairs have specifically been designed to ensure their mobility. Even though many disabled use these wheel chairs only to move around, there are some who try to experiment things for the sake of thrill and fun. For instance, there are several people who play basketball while they are on wheelchairs and have mastered the art of moving around with this piece of equipment. If you are physically impaired in some sense, and need a wheel chair to move around, you can also learn some of the tricks. Here are a few steps through which you can learn how to get around in a wheelchair. For starters, visit a professional technician who deals in wheelchairs so that he/she can tell you whether the wheelchair you have suits your capabilities or not. You should also make sure that it is perfect for your size as it’s extremely important. You don’t want to get stuck and feel uncomfortable while you are in a wheelchair. When you sit, make sure that your back is straight. If your back is not in a comfortable position, you will have trouble getting off from the wheelchair. Also, in order to make yourself more comfortable, try to get yourself a gel seat cushion. It will help you sit in an easier posture. Lastly, try to put your feet firmly on the pedals. 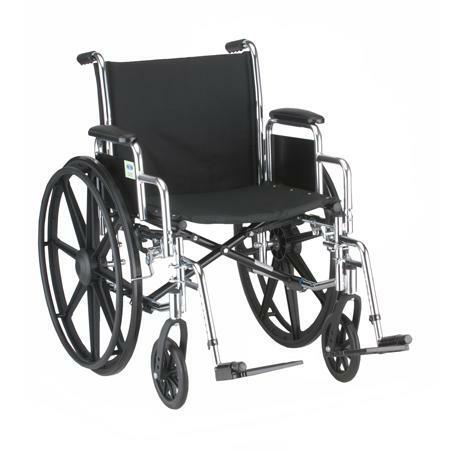 In order to know about the wheelchair’s movement, try rotating it on its axis. To do that, you simply have to move one wheel forward and the other one in the opposite direction. Use your hands to do this. For starters, put your right hand on the right wheel and move it forward and put your left hand on the left wheel to move it backwards. Try to keep your elbows and knees within the frame. This will help you remain safe. If you are trying to take shorter turns, simply try to bring the pedals closer to your body. You may also remove the front pedals for a while. In order to avoid getting hurt while opening a door, lean towards the door. You will notice that your body will pass through swiftly without the door hurting you. If you are moving around the house or office, always plan your route. This way you will know where to take turns.